Botox® is well known for eliminating wrinkles, but it was originally approved to treat muscle spasms, and now it’s an effective preventive treatment for chronic migraines. 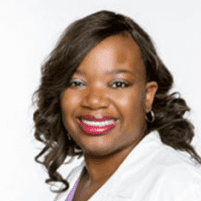 Sharisse Stephenson, MD, at Neurological Associates of North Texas offers safe Botox injections to reduce the number of future migraines you must endure. To learn whether Botox may help you, call one of the offices in Abilene or Dallas, Texas, or book an appointment using the online booking feature. Botox is a purified form of botulinum toxin that’s used in cosmetic and medical procedures. When Botox is injected into a muscle, it blocks the nerve signals that cause muscle contractions. As a result, the muscle relaxes and Botox temporarily relieves your pain. Dr. Stephenson uses Botox injections to help prevent chronic migraines. Chronic migraines also tend to last longer and cause more severe pain compared with episodic migraines. Migraines are one of the most painful headaches you can experience, causing a severe throbbing pain that lasts 4 to 72 hours. The pain often stays near the temple on one side of your head, but it can spread to both sides. Migraines are triggered by factors such as stress, fatigue, hormone changes, bright lights, lack of sleep, drop in barometric pressure, certain foods, and going without food. Some patients experience an aura about 20-60 minutes before their migraine pain begins. An aura most often causes vision changes such as flashes of light. In addition to your intense migraine, you’ll experience symptoms such as nausea, vomiting, and sensitivity to light, sounds, smell, and touch. After your migraine gets better, you may continue to feel dizzy, confused, or sensitive to light for about 24 hours. What should I expect during Botox treatment for a migraine? Dr. Stephenson injects Botox into seven key muscle sites that are proven to optimally prevent future migraines: the bridge of your nose, forehead, both temples, back of the head, the neck, and upper back. Although you’ll receive 31 total injections, Dr. Stephenson uses a small needle so each injection feels like a pinprick. Your treatment takes only about 15 minutes. When it’s finished, most patients get back to their normal routine. You’ll get a second treatment 12 weeks after your initial Botox procedure. It takes about four weeks to get results, so this gives you enough time to see how well Botox works for you. To maintain your results, you can get further treatments every 12 weeks. If you suffer from chronic migraines and would like to learn more about Botox treatment, call Neurological Associates of North Texas or book an appointment online.